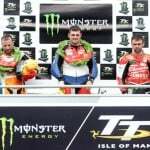 The internet is full of videos from the Isle of Man, but if you ask me, this ranks up there as one of the best I’ve seen. 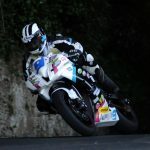 Michael Dunlop, who took four wins in last year’s TT, has a hard-charging style that’s exciting to watch. He leaves nothing on the table, and as we see in this on-board video, he’s practically unbeatable when he’s at the top of his game. 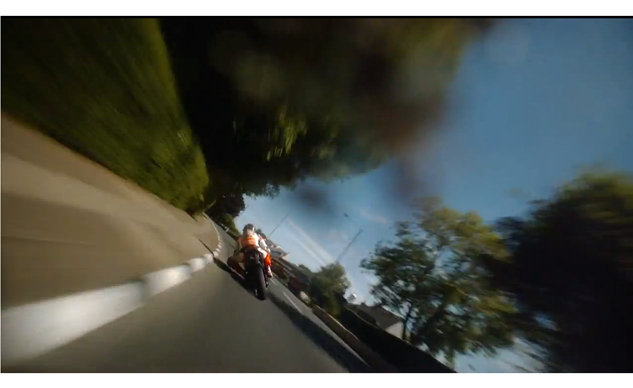 This video, which starts on the third lap of the Supersport race, right after Dunlop pits for fuel, takes you on a complete circuit of the TT course — all 37.7 miles of it. Dunlop is aboard a Honda CBR600RR, sitting in second place on corrected time. Yes, the video is nearly 18 minutes long, but as soon as Dunlop leaves pit lane you’ll want to stay glued to your screen the entire time. 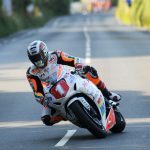 We’ve all heard the stories of danger surrounding the TT race, but this video puts the sheer terror and excitement of the event into focus. Stationary objects like buildings and trees are just a blur. Meanwhile, the 600cc Honda is screaming its lungs off trying to go ever faster and Dunlop is piloting the bike with exacting precision. 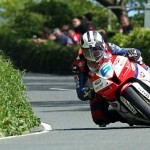 And partway through his lap he has to find a way around other riders, including 20-time winner, John McGuinness. Simply put, this lap is breathtaking. Put on your headphones, crank up the volume, and be sure to watch in HD quality. You won’t be sorry. And oh yeah, Dunlop ended up winning this race.